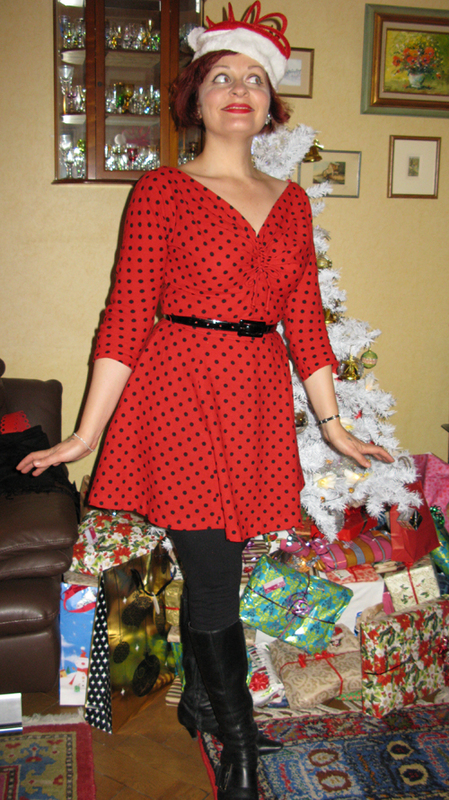 I hadn’t worn my lovely wool red and black polka dot party dress in many years. I pulled it out of storage and put it in my suitcase for Christmas holidays. When I got to Cannes and pulled it out for ironing I found two enormous moth eaten holes in the bottom of the skirt. So I chopped off about a foot and hemmed it up quick! It’s so sad, but actually quite cute as a mini dress. I wore it with winter leggings from American Apparel (so great! so warm!) and an old pair of go-go boots (Chinese Laundry). 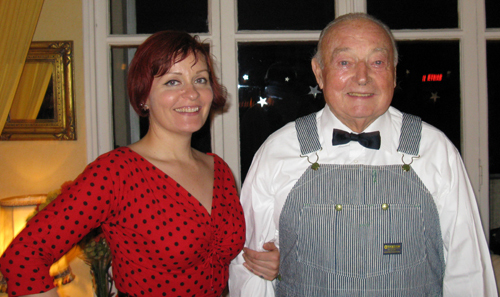 My Beau Pere looked so cute in his train conductor overalls and black bow tie! 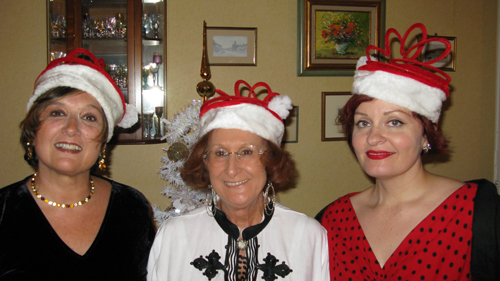 The girls in their Christmas hats!